Liefeld’s new ongoing series offers an addition to the Extreme Universe. 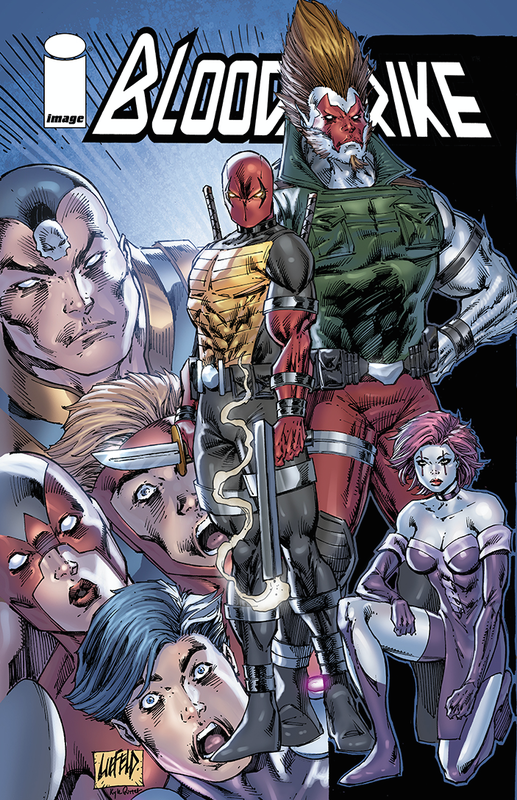 Legendary comics writer Rob Liefeld (YOUNGBLOOD, COVENANT, Deadpool) brings readers an all new ongoing series in BLOODSTRIKE #1. The new series will offer a lively romp and display a more mature side to Liefeld than fans have previously experienced. In BLOODSTRIKE #1 a new recruit to the Bloodstrike program (his identity as a mystery man from the historical Extreme Universe is soon to be revealed) struggles on a covert mission and loses his life as well as his junk to the mysterious Tragedy Ann. BLOODSTRIKE #1 hits stores on July 8.